It takes a special group of people to make insurance fun, which is why you should get to know us! MHG Insurance Brokers has been serving the marine industry, businesses, and groups and individuals around the world since 1991. A lot goes into a business lasting more than 25 years. Even more goes into a business experiencing success and continuing to grow during that time. While much of it can be attributed to a company’s philosophy, structure, and culture, a business is nothing without the people who execute that philosophy and help create a one of a kind culture. Being in business for over 25 years is no small feat, and much of what is responsible for a business’s success are its people! Here at MHG, we are an extremely diverse bunch. Many of us are from various countries, involved in several community organizations, and from different career backgrounds. Get to know us as we do some reflecting, and give insight to the history of MHG and its employees. So, let’s get to know the Director of our IT Division, Kevin Knorr! Kevin grew up in Philadelphia Pennsylvania where he attended a technical college and pursued a degree in Electrical Technology. In high school, he worked for the Rose Tree Summer Festival which was his summer job. After graduating from trade school, he got a full-time job working as an electrician for the Parks Department of Delaware County, where he also held a summer job while in high school working on the Rose Tree Summer Festival. Later he worked for Wescott Electrical as a Project and Purchasing Manager. After gaining some experience, Kevin started his own telecommunications equipment company that he sold within five years of founding it! After selling his company, Kevin was the IT Director for a leading provider of software solutions and services. Kevin moved from Pennsylvania to South Florida in 2006. 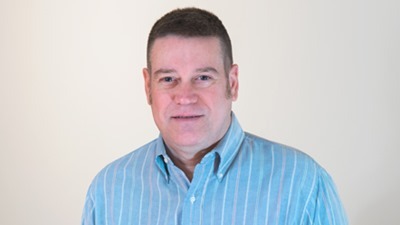 Kevin joined MHG in 2006 after almost two decades of valuable IT and Telecommunications experience. He was hired as the IT Director and still holds that position today. In this role, he oversees all IT Operations for all MHG offices worldwide. Kevin is thoroughly involved in the community, as he has held several positions within the city he currently resides in. He is currently the Vice President for the Wilton Manors Development Alliance, which is a nonprofit organization dedicated to the development of Wilton Manors. He also serves as a Board Member on the Wilton Manors Entertainment Group, which is a nonprofit dedicated to entertainment and events within Wilton Manors. He has also been involved with the Community Affairs Advisory Board, which provides a vehicle to maintain a high quality of life through greater citizen participation by providing a conduit for cooperation. To hear some insurance advice from some of our employees, read our previous blog, “If You Could Give One Piece of Advice to Your Clients, What Would it be?” MHG is here to help and provide assistance with all your insurance needs. Whether you are looking for marine crew insurance, health insurance, life insurance, travel insurance, expatriate insurance or insurance for your business, we have the experience and knowledge to help you find the right policy. To learn some of the benefits of using an insurance broker, click here! Please contact us at +1 954-828-1819 or +44 (0) 1624 678668 or visit us online at mhginsurance.com. Let our insurance specialists find you, your family, or group, the best insurance available for your budget. 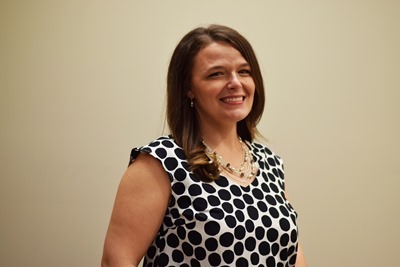 So, let’s get to know our Claims Specialist, Kelly Morris! Kelly grew up on the west side of Indianapolis, Indiana, in a town called Plainfield. Her family lived in an old farm house that was built in 1892! Before MHG, she worked for a local insurance company in Indianapolis for over 12 years. 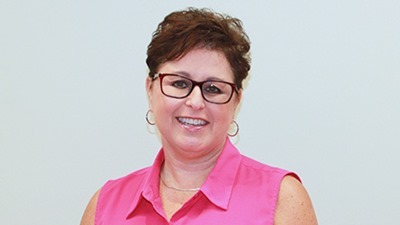 She started in international insurance at the age of 23 as clerical support and quickly worked her way up to the VP of Claims Administrative Assistant. Kelly attended Indiana Business College in 2004 to further her career and moved into a claims processing role. With that came the opportunity to move on and add to her knowledge in many other departments within the company. All that hard work culminated in a position assisting the company’s largest brokers in the Missionary and Marine lines of business. Due to her background in the insurance industry and extensive experience handling claims, Kelly was a perfect candidate for a position within MHG. She joined MHG in July 2015, working remotely from Indianapolis as a Claims Specialist working with the Isle of Man office. Since then, she has transitioned to the Cruise Division where she still works today. In her spare time, Kelly enjoys photography, baking and being outdoors. She also loves traveling, which she says works out well living in Indianapolis and working in Fort Lauderdale. One of her absolute favorite places to go is a little town in southwest Colorado called Ouray. She loves to visit there with friends to camp and hike. She also enjoys volunteering at a local animal shelter with her daughter. Here at MHG, we are an extremely diverse bunch, which is why you should get to know us! So, let’s get to know someone from MHG’s Isle of Man team, Emma Bell! Emma is originally from Essex, United Kingdom, and has only been living in the Isle of Man for nearly two years and she is “loving it”. Prior to joining MHG, she worked within Commercial Insurance working for QBE Insurance Europe Ltd for seven years, and Royal and SunAlliance for three years before that. 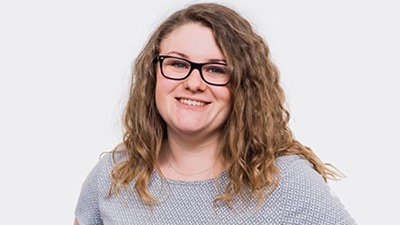 During her time at QBE Insurance Europe Ltd, Emma passed the London Market Certificate of Insurance and received her LM1 and LM2 licenses. Due to her extensive background in the insurance industry, Emma was a desirably candidate for MHG’s growing Isle of Man office. She joined Emma joined MHG in 2016 as an Underwriting and Claims Assistant, and has been excelling ever since. Some of her responsibilities include quoting, inception, assisting with claims administration, and invoicing. Emma has four dogs that keep her busy, one being a very bouncy rescue puppy from Manx Society for the Prevention of Cruelty to Animals (ManxSPCA). Emma also recently turned 30 years old, but considers herself an old lady at heart who enjoys crafts such as knitting and crocheting. Here at MHG, we are an extremely diverse bunch. 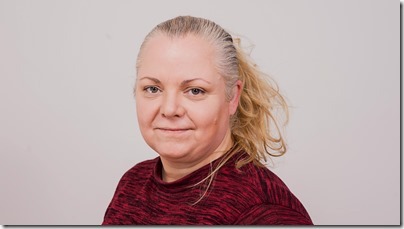 So, let’s get to know someone from MHG’s Isle of Man team, Emma Bell! 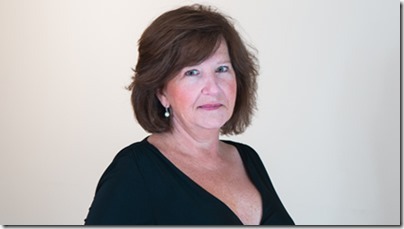 So, let’s get to know a member of MHG’s Cruise Division, Sherry Wertz! Sherry is originally from Roanoke, a small town in southwestern Virginia. She attended Virginia Tech University where she graduated with a degree in Communications. Soon after finishing college, Sherry went to work on ships with Norwegian Cruise Lines as a Gift Shop Sales Associate. She only planned to stay in the cruise industry for a year or two, and 30 years later she has stayed within the industry in one way or another, holding managerial positions for different cruise lines, concessionaries and various companies supporting the cruise industry. Due to Sherry’s extensive background within the cruise industry, she became a perfect candidate to join MHG’s cruise division as her most recent experience was with cruise line Shore Excursions. She joined the company in June of 2016 as a Manager within the Cruise Division. Working at MHG allows her to apply her cruise industry experience, as she can recognize the needs of cruise lines as well as the officers and crew members onboard, and ensuring both receive the best service possible. Growing up, Sherry studied all types of dance, piano, and singing. One way she can connect with her passions is by taking Jazzercise classes. She believes keeping music in her life is important, even if it’s just taking an exercise class. She also enjoys going to live events whether they are individual singers, bands, and Broadway performances. MHG is here to help and provide assistance with all your insurance needs. Whether you are looking for marine crew insurance, health insurance, life insurance, travel insurance, expatriate insurance or insurance for your business, we have the experience and knowledge to help you find the right policy. To learn some of the benefits of using an insurance broker, click here! Please contact us at +1 954-828-1819 or +44 (0) 1624 678668 or visit us online at mhginsurance.com. Let our insurance specialists find you, your family, or group, the best insurance available for your budget. It takes a special group of people to make insurance fun, which is why you should get to know us here at MHG! So, let’s get to know a member of MHG’s Accounting Department, Leandro Leon! Before moving to the United States, Leandro was a full-time student in Venezuela. He attended “Universidad Tecnologica del Centro” where he graduated in 2012 obtaining two bachelor degrees, one in Accounting and the other in Human Resources Management. 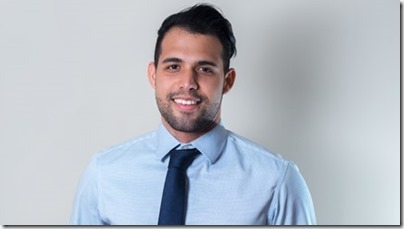 Soon after finishing school, Leandro got the opportunity to intern with MHG in the Accounting Department. He started in September 2012, and didn’t take long to fit in. He was eventually hired on to a full-time position and has been working with MHG for almost 4 years. He is currently a staff accountant, and works remotely in Orlando, Florida. Leandro is originally from Venezuela and is fluent in two languages, Spanish and English. Before working for MHG, he had only been to the United States one time. Leandro is also a black belt in Karate, and used to teach classes in college. In his free time, Leandro enjoys working out, salsa dancing, and is very close to his family. Get to know us as we do some reflecting, and give insight to the history of MHG and its employees. 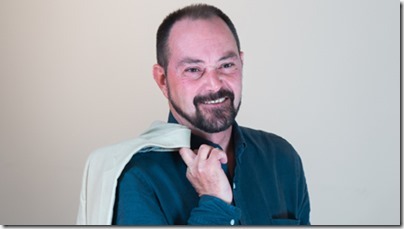 So, let’s get to know a member of MHG’s IT Team, Jeff Martin! Jeff is a Programmer at MHG’s Fort Lauderdale office. In this role, he is constantly researching, exploring, and testing the different ways users interact with our internal Customer Relationship Management system, Client Portal, Broker Portal, and websites solutions. He has also been in pursuit of creating elegant, efficient, intuitive, and innovative enterprise-grade software products that focus on making a human connection with the user’s needs. Through user-centric human interfaces, Jeff is in turn able to increase the productivity of our products and allow them to reflect the MHG brand. Before joining MHG in 2014, Jeff spent the last 35 years of his career working on, with, and around computers. The fluctuating nature of technology kept him passionate about learning and integrating cutting edge technologies. He has built up a diverse set of skills that is necessary in today’s ever digital world, and has a background in the life insurance and automotive industries, and has also worked in Chicago and Southern California before coming to Fort Lauderdale. One of Jeff’s personal passions is motorcycles. In his off time, he loves to ride in charity events that benefit diseases such a breast cancer. He has also participated in walks for the American Heart Association, and other organizations. Here at MHG, we are an extremely diverse bunch. It takes a special group of people to make insurance fun, which is why you should get to know us! 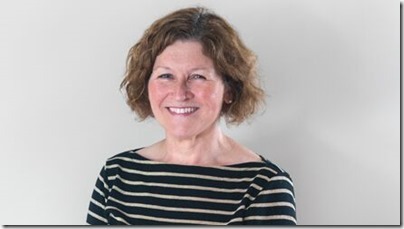 So, let’s get to know the person that runs the show in our Isle of Man office, Cathy Lane! Growing up with a passion for the arts, Cathy originally went to an art college in London for theater design specializing in costumes and props. She later did freelance work for the Dutch Royal Ballet, Surrey Opera Company, Spitting Image and Chanel Four Films. Also, on weekends she worked at the world famous Madame Tussauds! After making her way through the theater and film industry, Cathy moved back to the Isle of Man to pay off student debt by working in a shoe factory. She then moved back to London 2.5 years later to work for another footwear company progressing from a sewing machinist on the production line, to women’s footwear designer, and finally production manager before relocating to the Isle of Man again. Cathy was hired by MHG in January of 2011 as an Operations Manager, and was put in charge of building up and hiring a staff at MHG’s recent expansion office in the Isle of Man. She was a key part of successfully starting up MHG’s new branch and was promoted to Director, European Operations at the end of 2012, and still hold that position today. Cathy is an avid reader, and loves fantasy and sci-fi books, films, television shows, etc. (She recently attended Star Wars Celebration in London). Due to her background in theatre and costumes, Cathy also loves to design and make things. She can sew you anything from a wedding dress to curtains! Cathy is a supporter of numerous cancer research charities, either through taking part in events or sponsoring others who are close to her who take part in events! She also volunteered as a costume maker for a local children’s theatre group, and has been involved with the Isle of Man TT for 8 years, working with the TV company who film the races. Cathy and her husband have spent the past couple years renovating their house which was originally built in 1886! Let’s get to know the person that runs the show in our Isle of Man MHG Office, Cathy Lane!